SNS dipping powders enable ladies to enhance the beauty of their nails while making them healthier. Get a fresh and sanitary pedicure including nail trimming, shaping, buffing and cuticle grooming. Get longer, fuller eyelashes WITHOUT the need for eyelash curlers or clumpy mascara. Luxe Nails & Spa is a premier, nail salon and spa conveniently located in the heart of North Scottsdale, Arizona. Our luxurious nail salon is a state-of-the-art facility which stays on top of all the latest trends in nail care. We also offer the finest pedicures and eyelash extensions with a selection that is simply unmatched. When you come to Luxe Nails & Spa, you will discover a nail salon that genuinely cares about its customers. I received probably the best manicure of my life today from here. The shop has comfortable massage chair with pillows :). They totally hustled to make sure I got out of there in time for a meeting I had. I will most definitely be back! Yesterday, I came here to get my nails done and i didn't have to wait too long. Loved my technician because she had an amazing skill. I showed she a nail art picture then she made it for me very beautiful. She also used SNS products to make nails for me and therefore, i felt very satisfied. My nails last about 2-3 weeks. So all in all, 5 stars! Absolutely beautiful salon. Got my nails done and that’s the first time in a long time I had no complain. I explained what I wanted and got exactly that. They have all the latest techniques and style. A good friend took me to this place a couple of days ago and i really had a great experience. This place is super professional! Sure! They are more professional than other places. The products they use are mostly SNS. They took the time and did an amazing job on my nails. Not only quickly but also beautiful. To sum up, love the ladies here! I'll be back!!! Wow. I am blown away! I went in for a SNS manicure and it is truly the best manicure I've ever had. I've never gotten so many compliments on my fingernails! The efficiency and care that they put into their services solidifies the fact that this is my new go to nail salon. A couple days later I just had to come back for a pedicure and I was not disappointed. I convinced my mom and aunt to come along and they will not stopping raving about it! The salon is extremely clean, attractive and well maintained. The owner Eric gives such a warm welcome, especially to new clients. LUXE NAILS & SPA is your haven for relaxation—whether you’re stopping by for a quick pick-me-up or a luxurious, much-needed treatment—you’ll be pampered in a nurturing environment. We take pride in the superb quality of our products and sanitation procedures so you leave oh-so-satisfied with your experience. Why Choose Luxe Nails & Spa? 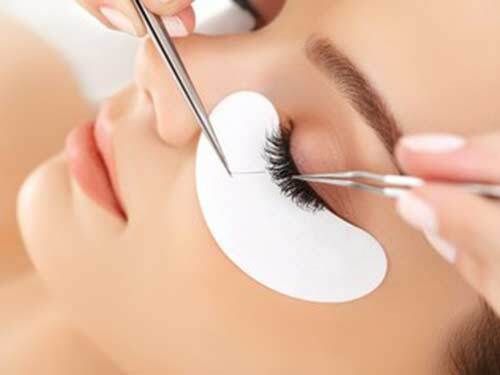 At Luxe Nails & Spa of Scottsdale, we use only top quality SNS (Signature Nail Systems), pedicure and eyelash extension products and follow uncompromising sanitary procedures in a modern, beautiful and tranquil spa environment. Let our friendly, professionally trained and licensed staff provide you with service that is second to none.